Whether it is trying to escape a hidden temple alive, or going through life as a middle school student, or even being a part of an iconic movie franchise, the extraordinary and phenomenal Isabela Moner is always slaying the game! Whenever we talk about the marvelous Isabela Moner, we’re always left in awe with just how brilliant and incredible she is. She has been a part of an endless amount of fan-favorite, highly-acclaimed projects and has done justice to each and every role she has taken on. Isabela Moner first stole our hearts with her wonderful role in Nickelodeon’s “100 Things To Do Before High School.” Since then, Isabela Moner joined the cast of the incredible movie that was a massive hit in theaters titled “Middle School: The Worst Years of My Life” and she stars in Nickelodeon’s much-anticipated “Legends of the Hidden Temple” movie. In addition, Isabela Moner is also a part of the legendary “Transformers 5” film. With a new day comes a new success for the remarkable Isabela Moner and she works so hard to bring magnificence and brilliance to each one of her projects. Aside from being a profound actress, Isabela Moner is also a talented singer. For real, is there anything that Isabela Moner can’t do?! This outstanding, young lady is truly a great role model and inspiration to all of her fans. From rocking the red carpet to showing her versatility as an actress and taking on so many different and exciting roles, we are loving Isabela Moner’s amazing takeover of the entertainment world! 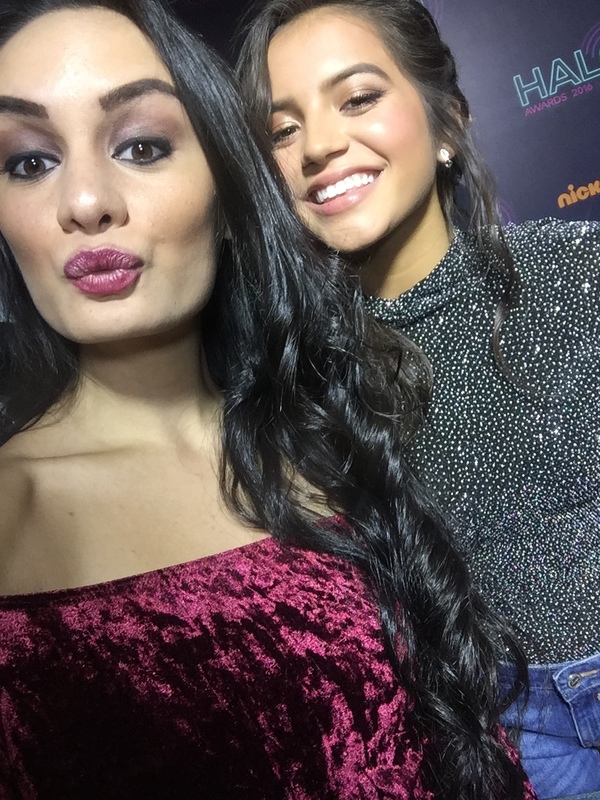 I, Alexisjoyvipaccess had the greatest honor of covering and attending the renowned, prestigious, and inspiring 2016 Nickelodeon HALO Awards for the third year in a row and had an excellent time catching up with and interviewing the dazzling Isabela Moner again at the event. Isabela Moner dished exclusively to Alexisjoyvipaccess all about three things she would like her character to have had in “Legends of the Hidden Temple” to help her escape the hidden temple alive and she gives her fans some fantastic advice on how they can HALO (Help And Lead Others). Isabela Moner even sent out one amazing message to all of her fans – hear what she had to say in our VIPAccessEXCLUSIVE updated interview below. Thanks for another fun interview, Isabela – always a blast chatting with you! Check out my VIPAccessEXCLUSIVE updated interview with the effervescent and stunning Isabela Moner at the 2016 Nickelodeon HALO Awards below! The Nickelodeon HALO Awards is the only award show of its kind that celebrates kids who are doing above and beyond to change the world we live in for the better and encourage everyone that you too can do the same. The 2016 Nickelodeon HALO Awards airs on Sunday, November 27th at 7:00 PM ET / PT on Nickelodeon. Previous VIPAccessEXCLUSIVE: Loren Gray Interview With Alexisjoyvipaccess At The 2016 Nickelodeon HALO Awards! Next VIPAccessEXCLUSIVE: Chloe Lukasiak Interview With Alexisjoyvipaccess At The 2016 Nickelodeon HALO Awards!